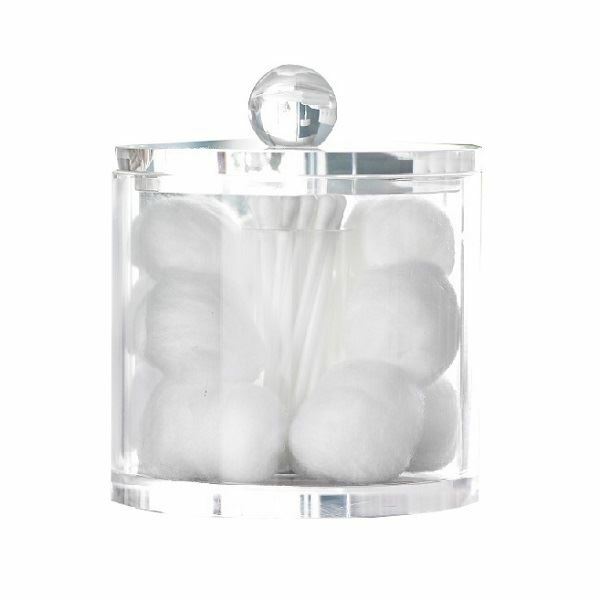 For bathroom storage at its best, our acrylic containers are ideal for the storage and presentation of essential items. Has a centre core for cotton buds. An elegant storage pot. Just the job for cotton wool etc. Delighted. Lid doesn't close properly with cotton buds in the centre core. Lid at risk of coming off and contents could get damp. What a lovely addition for keeping cotton buds, pads, balls tidy, really chuffed with this and they look impressive.